It’s Fun to be FAST! 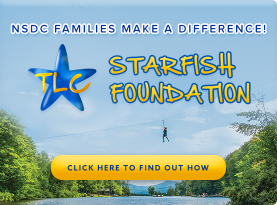 How is FAST incorporated into NSDC’s daily program? FAST Beginnings is designed specifically for our Stepping Stones campers (Nursery-Kindergarten). 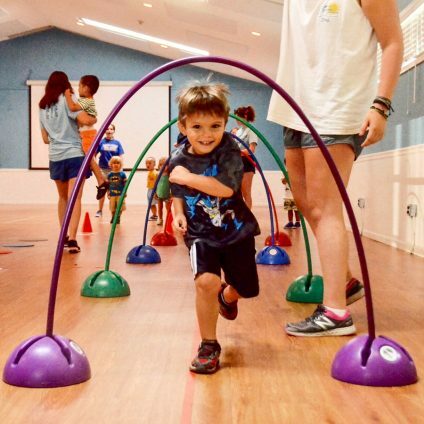 Stepping Stones campers are the perfect age-group to begin developing core motor skills with an introduction to basic, sport-specific movement patterns. FAST activity periods are geared toward creating a fun and positive learning environment to promote continual improvement in overall motor skill development. Our coaches incorporate a variety of drill-based games, contests, obstacle courses and music into each session so your child always has fun! FAST Beginnings is scheduled one time a week for our youngest campers and they LOVE IT! FAST is programmed into the weekly schedule as a group activity throughout the summer for campers in 1st-4th grade. Additionally, FAST is offered as part of our Club program for our Upper Camp campers (1st-NSDC’s CREW). Is there an extra cost for the FAST program? No! There is no additional cost to our families. FAST is built into your child’s schedule as a complement to our already excellent athletic program. Can we find FAST during the year? FAST has a home-base location in Wheatley Plaza and offers multi-sport & movement classes throughout the year for children as young as 18 months (Mommy & Me) up through 7th grade! Learn more by visiting www.fastathleticskills.com.